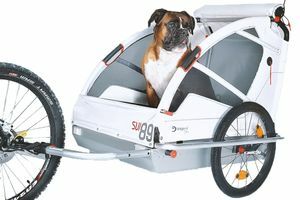 Dogs are persevering animals that can often travel long distances on foot without difficulty. 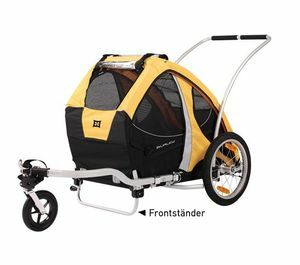 However, if you have a very young or very old dog, or if you plan a very long bicycle tour with your four-legged friend, you should use a dog trailer in which the dog can be transported comfortably. 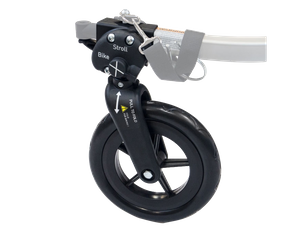 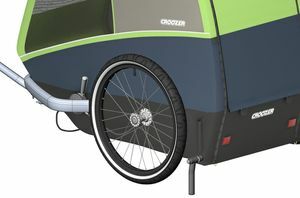 We recommend the high quality dog trailers from Burley, Croozer and Leggero. 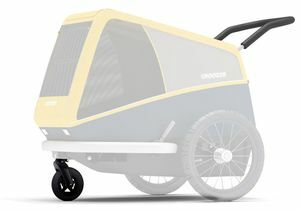 Dog trailers are usually equipped in a similar way to bicycle trailers, in which small children are transported. 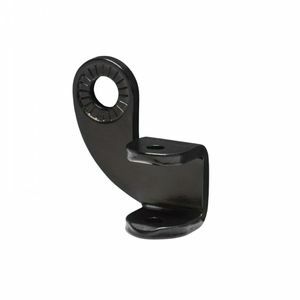 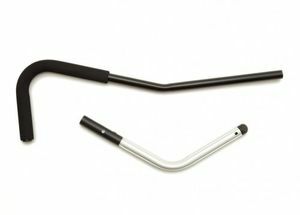 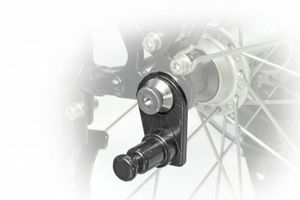 With a few simple steps they can be mounted on almost any bicycle. 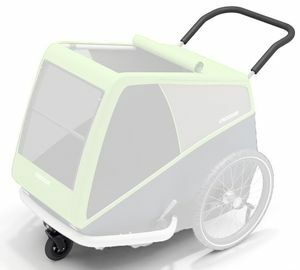 A good trailer for dogs is normally made of high quality plastic and metal components and, when not involved in an accident, will last a dog's life. 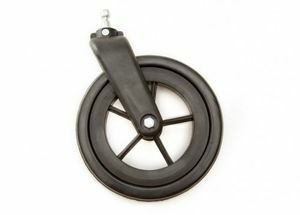 All parts are generally washable and rainproof. 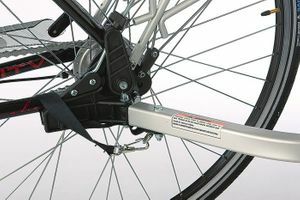 Good trailers are equipped with a marking pennant or reflectors, so that they are visible to other road users even in dark light conditions. 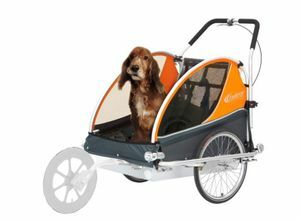 The interior of the car is usually comfortably padded, so that the dog can feel comfortable during the entire ride. 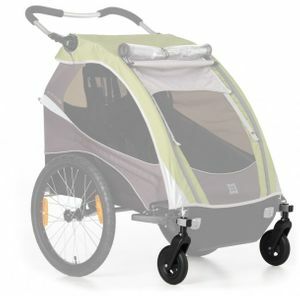 The entry or exit can ideally be closed with a zipper. 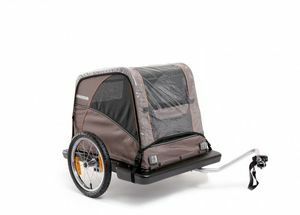 The bicycle trailers have one or more windows so that the dog can always follow where it is going. 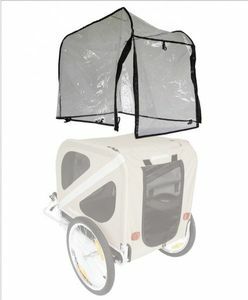 Insect and sun protection and good ventilation are also important for the animals. 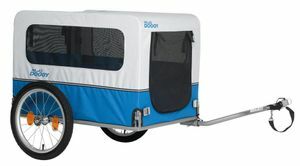 If you want to take your dog trailer with you on a journey, you should not least make sure that the trailer folds well so that it can be transported with every car without any problems. 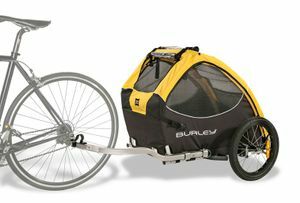 Bicycle trailers for dogs can be used both for travel and daily use. 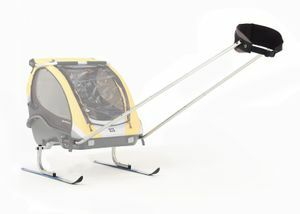 They are also a valuable companion in snow and ice, as many animals often get along very badly on this terrain. 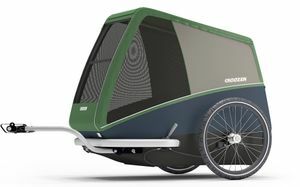 It is important to give the animal a break at regular intervals during every ride, in which they are let out of the trailer and can let off steam.